Home » Fortnite » Fortnite Guides » Fortnite Best Weapons and Guns List – Season 8’s Top Weapons in the Game! Fortnite Best Weapons and Guns List – Season 8’s Top Weapons in the Game! Our Fortnite Battle Royale best guns guide lists the top guns in the game for taking on your opponent and securing victory! If you are looking for Fortnite's Best Weapons then our list features the best guns for you to run on your way to victory! These weapons are the best choice for when you have multiple options at your disposal. This list has been updated for Season 8 of the battle pass! I'm taking multiple things into account when I consider the best guns in Fortnite. Damage is a big factor, but not the only one. You also need to consider firing rate, which is particularly important for spray heavy weapons like SMGs. Accuracy is also very important because the damage won't matter if you can't hit anything! 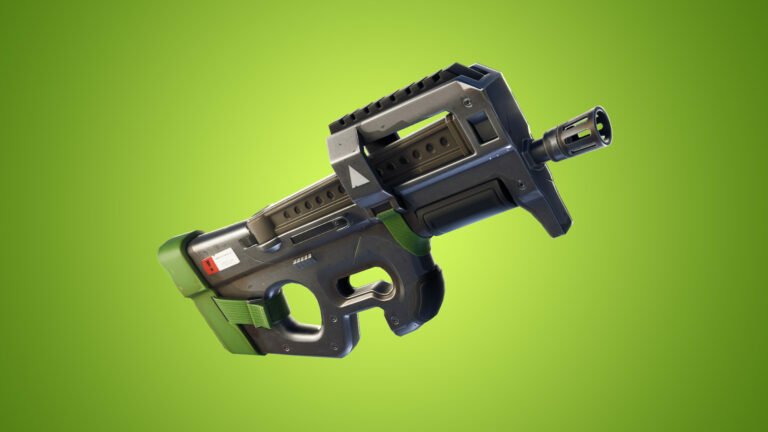 The Hand Cannon has been removed due to the nerf to its environmental damage. There hasn't been a whole lot of change otherwise, we'll see if some new weapons get added in the future that might make the list! This list isn't ranked in any particular way, each of these guns is really good at what it does. No gun is great in every situation, explosive weapons are better in fort battles, sniper rifles are better in a long distance fight, assault rifles are better in mid-range fights and in general situations, and shotguns are the best for close range battles. An accurate, mid-range, fast-firing assault rifle that does a good amount of damage. The only real negative about the SCAR is that it can be difficult to get your hands on if you aren't opening supply drops or getting lucky with chests or floor loot. The newer Suppressed SCAR falls pretty much right along the lines of the original. It is more accurate when you are tapping, but the spray is a bit wider and more random. It largely depends on which style you prefer, are you a slow firer or are you prone to spraying? The SCAR and Suppressed version come in Epic (purple) and Legendary (gold) versions. The Infantry Rifle took some changes to get right, but now it's a very solid weapon to use in the game. In particular, the Epic & Legendary versions are very strong and can be used at a high level. They are now hitscan, and are very accurate and quick to give you first shot accuracy. I would still take a SCAR over them, but they are more than worth adding to your loadout. Good for putting in your sniper slot, these can pack a wallop if you are hitting headshots with them. These are also extremely fun to use, and them using Shotgun ammo is a nice bonus which makes it pretty easy for you to spam them away. Even if you aren't laser accurate with this weapon, you still have a chance to deal some damage with the explosion it creates! A bit of a surprise to me, but this pistol actually ended up being very good. The key is using it for movement, they operate kind of like the Grappler that would allow you to get back high ground if you got out built. Shoot the structure you are on and it will launch you straight up into the air giving you a chance to build up over your enemy. These also can do a ton of damage if you've got the accuracy to hit headshots. Keep in mind, that they do have a pretty big weakness in that they take forever to reload. Fortnite Best Dances & Emotes – Top Rated Emotes in the Game! Fortnite Best Pickaxes – Top Rated Harvesting Tools in the Game! Fortnite Best Gliders – Top Rated Umbrellas & Gliders! The Heavy Sniper is just a super powerful weapon that does enough damage to finish someone in one shot to the body the majority of the time. If you think about it, most players are at around 150 hp (small shields or they might be at 75 shield and 75 hp). This gun does 150 to the body for an Epic and 157 with the Legendary. This means in most cases, you don't even have to aim for the head. This gun also one shots any structural wall, ramp, floor, or roof. Even if it's a fully constructed metal piece, you can still blow it away in one shot. If you are in duos or squads, you can easily time a shot with your friend to knock out a wall and then they can hit the kill shot. You can also surprise people with this in solos, and follow it up with another sniper or any weapon to deal damage or finish them off. 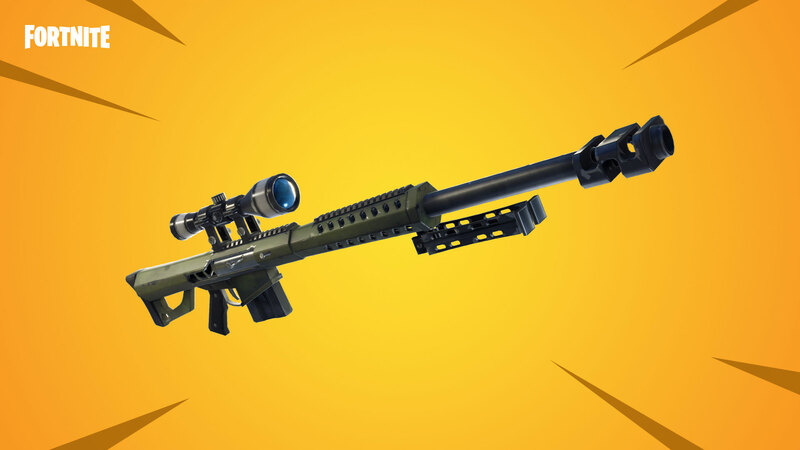 The Heavy Sniper Rifle comes in Epic (purple) and Legendary (gold) versions. The Rocket Launcher is one of your best options if you can get close to an opponent for a quick kill without too much struggle. As a bit of a tip, try to shoot INTO a base rather than just shooting at the base. If you can land the rocket over the top of a wall you can destroy more of the fort and potentially kill your opponent. If you just shoot into a wall it can quickly be replaced and it doesn't do any damage. Another thing you can do is shoot a rocket towards a wall and then immediately shoot it out with another gun so the rocket has a chance to land on the interior of the base. Another thing you can do with the Rocket Launcher is not show that you have it until you think you can get a clean shot with it. The rockets are pretty easy to block, but if they don't expect that you have it then you can get away a sneaky shot with it that they won't be able to block. Just make sure you don't accidentally blow yourself up! The Rocket Launcher comes in Rare (blue), Epic (purple), and Legendary (gold) versions. I normally don't call out rarities, but the Epic and Legendary Pump Shotguns are basically a different weapon from the Uncommon or Rare version of the gun. There's not a ton of difference between the versions, but this thing does a ton of damage and has a relatively tight spread. If the stars align and you hit every pellet on your opponent's face with it at really close range, you can indeed 1-pump someone again! 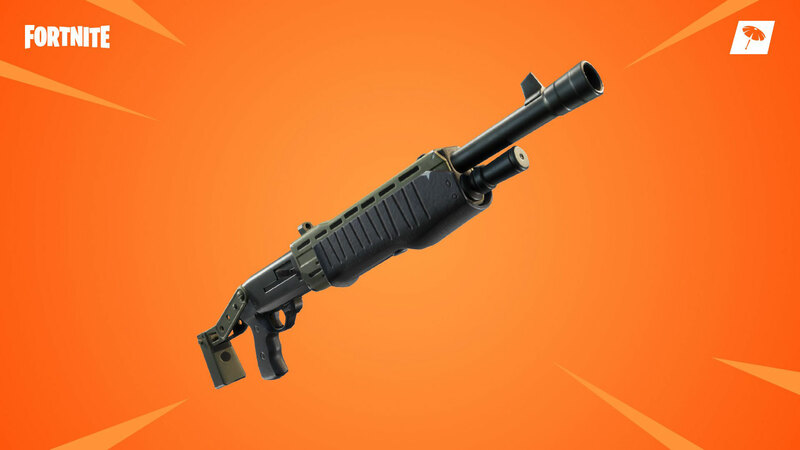 While this is pretty difficult to do, these new versions of the Pump are the best Shotgun options in the game currently. While the Epic and Legendary versions are the best, you'll still want to only run the Uncommon and Rare versions over any type of Tactical Shotgun. The pump is just far and away better than that tactical, so get better with the pump if you have been favoring the tactical. The Compact SMG took a bit of a nerf, but it's still a strong secondary option to your Shotgun. It can tear up walls and as an extremely fast fire-rate that will overwhelm anyone standing in front of you. This is one of the best third spot weapons in the game due to the Hand Cannon having its environmental damage nerfed. The Compact SMG comes in Epic (Purple) and Legendary (Gold) versions. My favorite guns are the silenced smg, the hunting rifle, and the boom bow!!! Doesn’t mean they are the best guns though. Just fun to use. Thanks, I added those weapons you mentioned. I generally am slow to update stuff like this because it doesn’t get all that many views. The best guns to me are scar, pump, mini gun, and rocket launcher. They all are good and if you use them wise you can complete demolish your enemy’s. 10/10 best guns to use. they are all good but my favorite one is heavy sniper. P90 is trash and Heavy Ar is best gun. How about Heavy Shotgun. Farther-range shotgun. Heavy Shotgun and Heavy Ar (Best Combo ever). Why has the hunting rifle been removed? It’s still a good weapon. It is still good, it’s just not as good as it was due to the power of the Hand Cannon and the more frequency of finding other snipers. Balloons are op when mixing with rocket launcher. You can get easy kills. Easily jump over some one and while in air shoot a rocket at them then they’re dead, if not, they had shield so just shoot another one! Gold scar. Gold pump. Purple suppressed pistol. Slurp juice. Gold heavy sniper. I think they should add a limited time game mode where you can use all the removed weapons & items from Fortnite (excluding reskins of weapons), such as the LMG, Dual Pistols, Guided Missile, Crossbow (Field Hunter version), C4, Drum Gun, Jetpacks, Zapotron and more! Though this would be very buggy so maybe nerf some of the weapons. They should also add the bouncer in this mode as well. Should the Heavy AR (AK-47) be added? People are saying its a pretty good weapon so I think it should be added. We try to wait a bit and see how it goes before adding anything to the list usually. Double Barrel isn’t nearly as good as it was prior to the nerfs. It’s still good, but it’s more for competitive play these days. The new crossbow is good! Tons of damage to the cube monsters! It’s a temporary weapon though, not sure it should be on the list. The best gun is the Supressed AR. It’s not the SCAR. I don’t like mini guns and love hunting rifles. Everytime i decide to swich my pump smg for pump drumgun i hit my first pump shot, switch over to drum gun and my aiming point is litterally on target and few bullets hit. For me the drum gun feels like one of the more rng based guns like LMG or Minigun. I prefer an normal SMG even though it does a little less damage. All of your opinions are true, and I agree. That kinda doesnt work anymore with the double shotgun nerf. -The enemy hide behind one wall, they need to build a whole 1×1 base with a roof to avoid being hit, and it can be easily destroyed with grenades, so they will waste a lot of resources. -Newer players frequently underestimate the power of a grenade launcher, so they ignore safety measures they should be taking to avoid the grenades, providing a free kill. -Although it can be difficult to aim, experienced players can aim well with grenade launchers to shoot through windows or other small holes to kill enemies. -Last thing is it also comes with blue rarities so it isn’t actually that hard to find. Although it can be kinda cancerous, I think it’s amazingly overpowered and it is by far my favorite weapon. I think the same of it. The nice side of rpg is that its controllable. But enemy’s can see where your rocket is going to provide being hit. Grenade launchers are way more ‘random’ and way less easier to protect yourself from. Once i was in such a fight where i came out of a fight, a dude had build an huge tower and he was the last person alive. I had nothing explosive. This was before the rocket spawn nerf so he just kept on spamming grenades, while i tried to keep building. It was a rain and there was no way for me to be able to protect myself. I was hit so i needed to box in to heal. I boxed in and when drinking my shield i saw a grenade in the same box as me. R.I.P in the chat. Grenade launcher I agree are amazingly op but the rocket launcher with having one balloon active however creates the most op thing I’ve seen since the zapatron please try this before spamming me with “grenade launcher” although that would be very funny to see! I’ve updated the post now! We’ll see, I want to get a chance to try it out a bit first. I’m my opinion the scar first second bolt third famas fourth heavy shot gun fifth tactical smg for beginners and RPG for experienced players iv e got most kills with blue Tommy gun its so op they should add a legend or epic and add it to list but the reason I did not do grenade launcher is aim. Agreed, it’s better for sure. I’ll probably be revising this list soon. They patched it and it’s the same as regular smg damage. I think the Famas burst is pretty good. I agree, but it’s not the better overall shotgun. OMG. A PLAYER THAT ACTUALLY KNOWS HOW GOOD IT IS! VERY TRUE NEAR 30 DAMAGE AND ABLE TO KILL A PLAYER IN ONE SECOND! Grenade Launcher is really good, not sure what they are talking about. LMG isn’t bad, it’s better than the Minigun that’s for sure. Most beginners don’t like grenade launchers because of the hard to aim. In my opinion the pump shotgun should be taken off the list and replaced with the purple SMG. Rarely does someone ever get a headshot with the shotgun and the SMG shoots at a crazy rate and can shred buildings, people, and anything else. You must not watch a lot of good players then because people get headshots with shotguns all the time. The purple SMG is certainly a good weapon, it’s just not even close to as good as the pump shotgun. There should be a sniper guide a least for advanced people. You’re right, that was going to be one of my next guides! So true, unless of course you need to tear down a structure really fast! It’s a pretty good gun if you know how to use it, Not good for late games though. I don´t agree they can take down builds fast and if you hit them buy surprise you will win… but i will admit it does have its downsides. Also on a plane this gun is beast if u are not driving it. This was an old comment, the minigun has gotten better. Did u not add the SMG?? The SMG is underrated, but I wouldn’t say it’s one of the best guns.